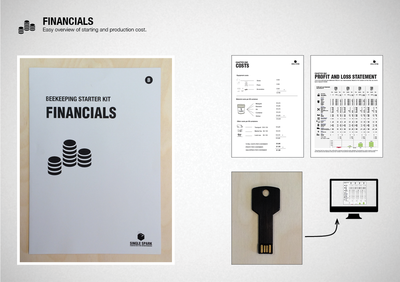 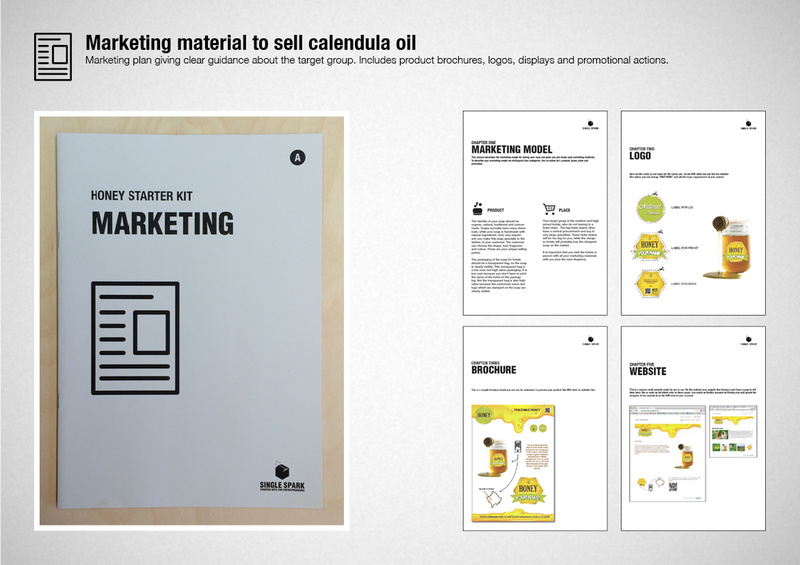 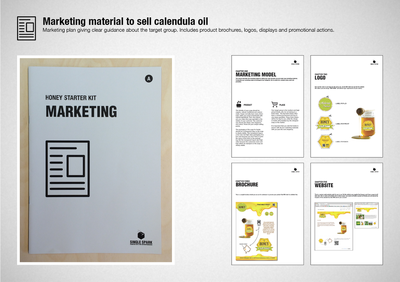 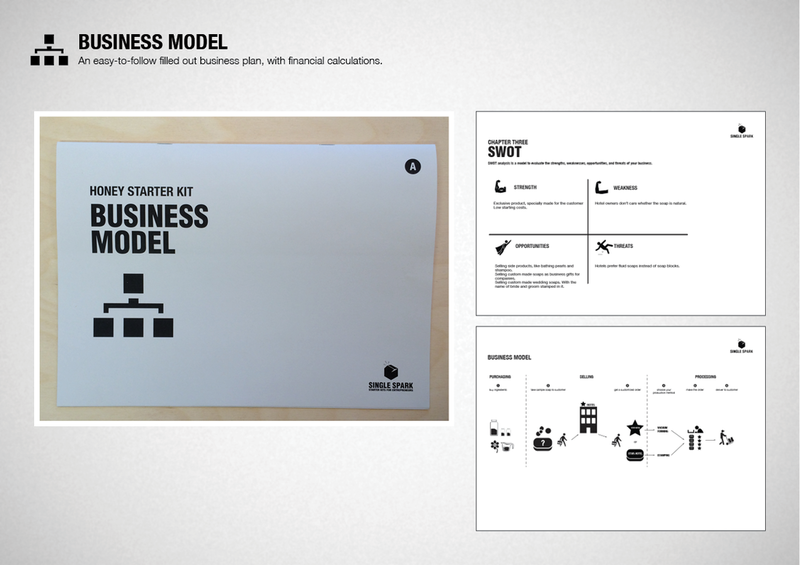 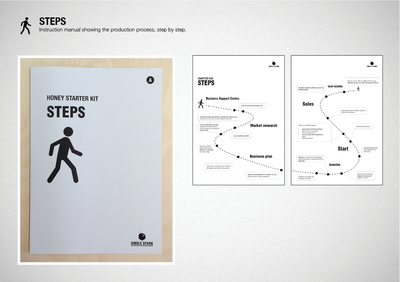 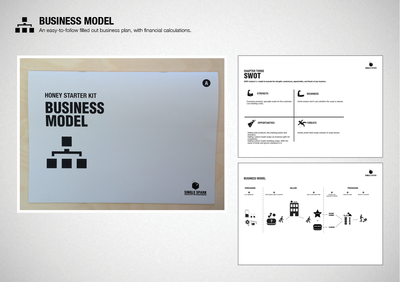 The business model in this starter kit is based on producing and selling natural honey. 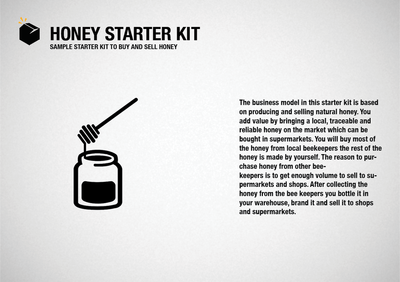 You add value by bringing a local, traceable and natural honey on the market which can be sold to supermarkets. 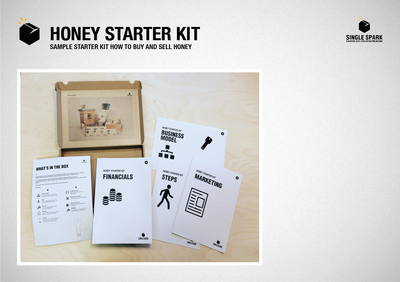 You will buy most of the honey from local beekeepers, and it will be supplemented by the honey you make yourself. 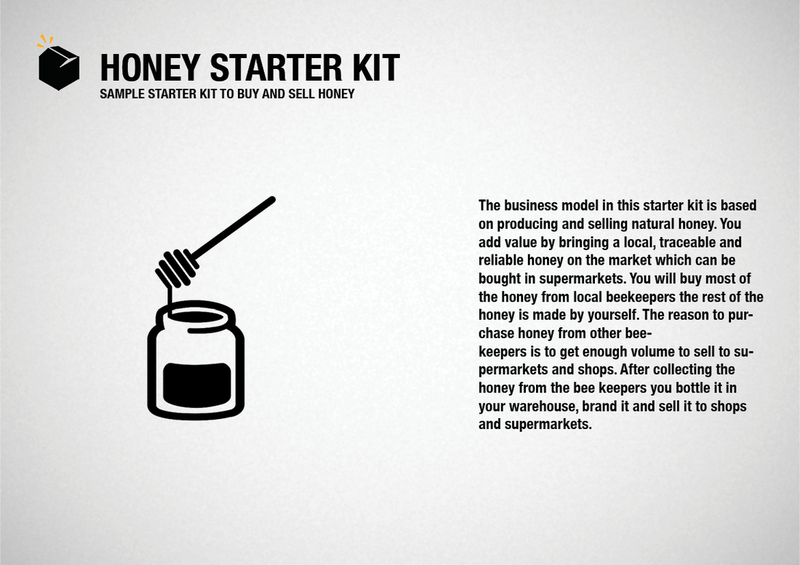 The reason to purchase honey from other bee-keepers is to get enough volume to sell to retailers rather than end-consumers. After collecting the honey from the bee keepers you bottle it in your warehouse, brand it and sell it to shops and supermarkets.